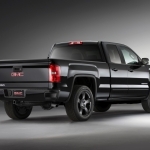 The 2015 GMC Sierra already offers an unparalleled blend of style and strength, but the new 2015 Sierra Carbon Edition, which will be available at dealers this fall, adds distinctive style to the mix. 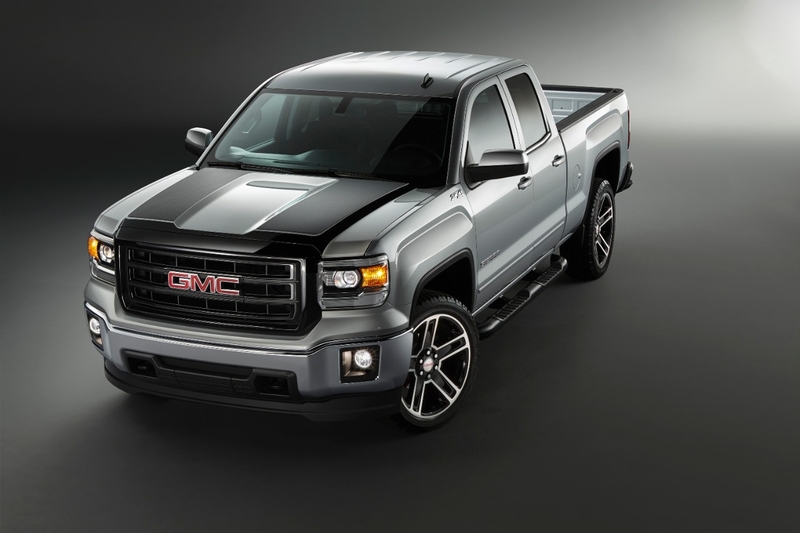 Based on the 2015 Sierra 1500 pickup, the 2015 Sierra Carbon Edition is offered in three different versions, allowing customers to hand-select the truck best suited to their lifestyle. 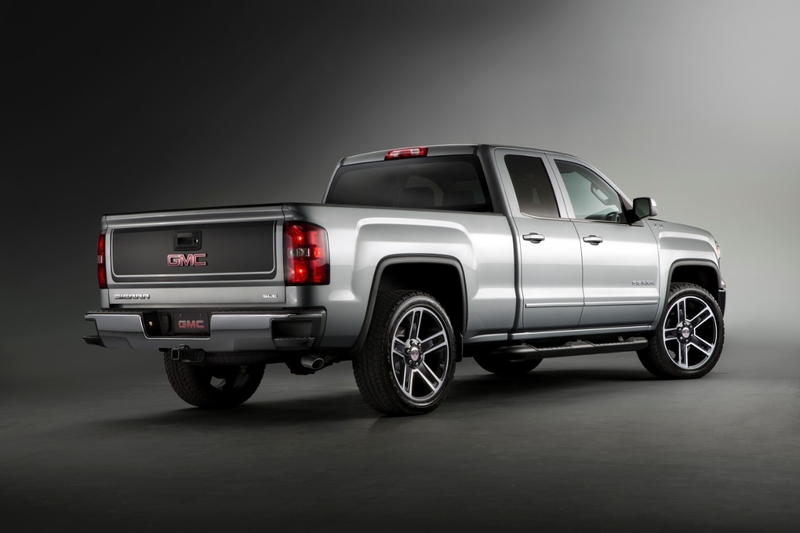 The striking Sierra Carbon 22 Edition, offered on both Sierra SLE double- and crew cab models, adds distinctive graphics that echo its name. Two carbon fiber appearance graphics emphasize strong forms in the Sierra’s hood, while another graphic dresses up the tailgate panel. Additional exterior touches include a black painted grille, along with body-colored door handles and mirror caps. The Carbon 22 Edition also incorporates four-inch black tubular side assist steps and unique 22-inch black alloy wheels. Carbon 22 Edition models also include fog lamps, remote keyless start, Universal Home Remote, a 110-volt power outlet and dual-zone climate controls. 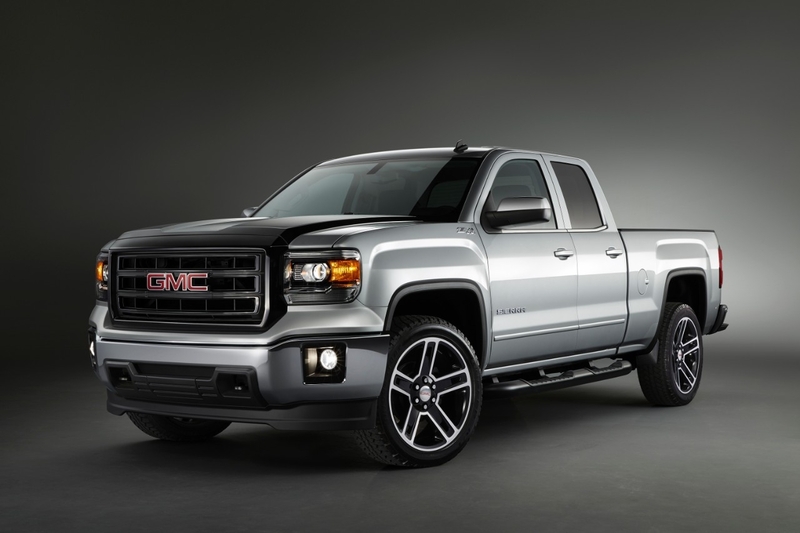 The Carbon 20 Edition, offered only as a Sierra SLE double cab, incorporates the same painted grille and carbon fiber appearance accents as the Carbon Edition, and rides on distinctive 20-inch aluminum alloy wheels. 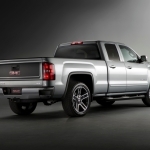 The standard Sierra Carbon Edition builds off the standard Sierra 1500 double cab model with many of the same cues used on the Carbon 22 and 20 Edition models. The Carbon Edition shares its black painted grille, carbon fiber graphics, and body-colored trim with other Carbon Edition variants, and also includes additional standard content including remote keyless entry, a 110-volt power outlet and light-emitting diode, or LED, cargo box lighting. 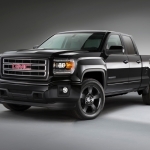 All 2015 Sierra Carbon Editions are available with two- or four-wheel drive. A 4.3-liter EcoTec3 V-6 engine is standard equipment, and delivers 285 horsepower, 305 lb-ft of torque, and EPA highway ratings up to 24 mpg. A 355-horsepower, 5.3-liter EcoTec3 V-8 is optional. 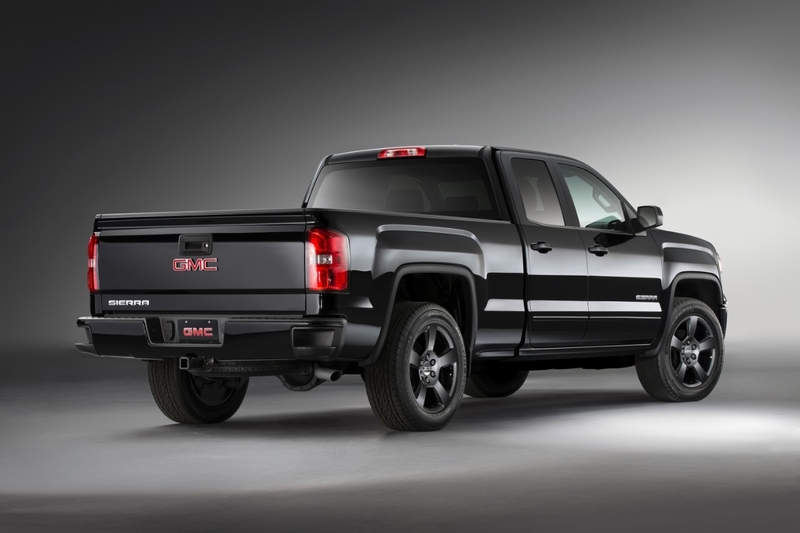 The 2015 Sierra Carbon Edition carries a suggested retail price of $33,075, while pricing for the Carbon 20 Edition and Carbon 22 Edition starts at $38,275 and $42,270, respectively. 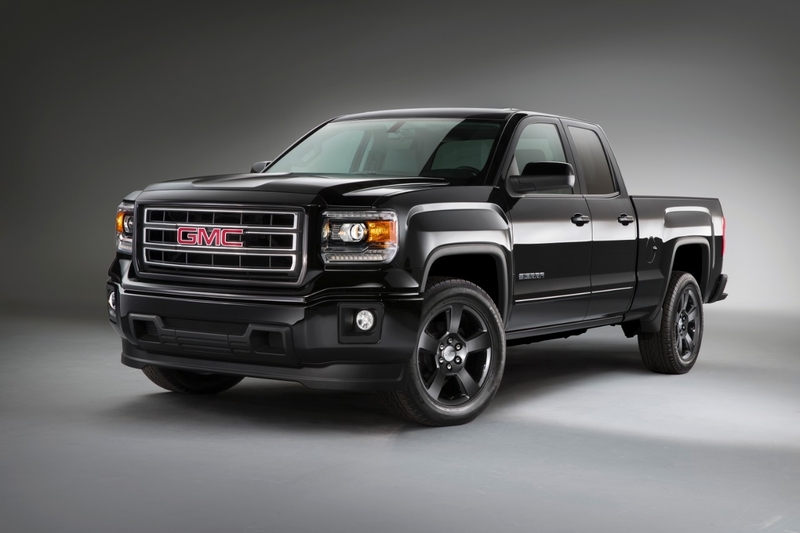 Dealers are accepting orders for double-cab 2015 Sierra Carbon Edition models. Crew cab models will be available to order in early October. 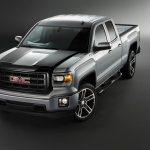 GMC today introduced the 2015 Sierra Elevation Edition, a new entry to the sport pickup truck market. 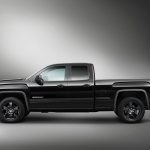 The Elevation Edition, which goes on sale later this year, offers a combination of style and content unavailable from competitors in the sport truck segment. 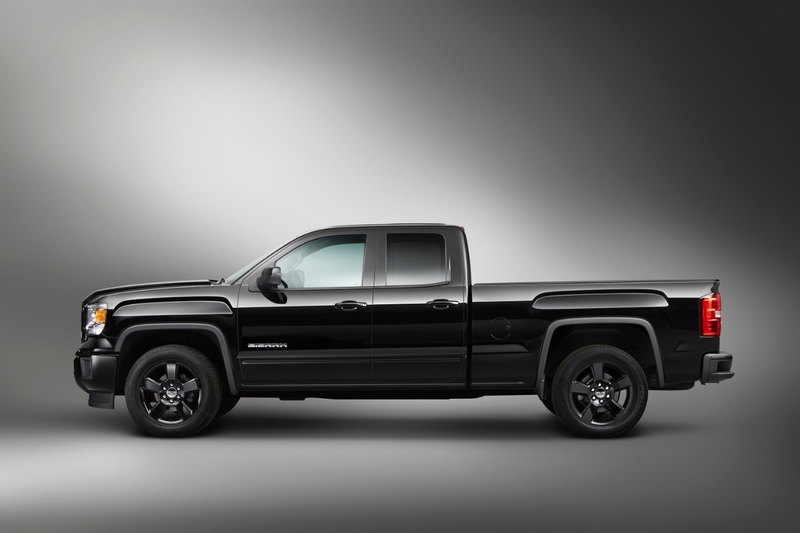 Built on the strong foundation of the standard 2015 Sierra 1500 double-cab pickup, the 2015 Sierra Elevation Edition incorporates a body-colored grille surround, color-keyed door handles, mirror caps, side moldings and front and rear bumpers designed to give Elevation a sporty monochromatic appearance. Elevation models also feature premium headlamps with distinctive light-emitting diode, or LED, lighting, fog lamps, and black-painted 20-inch aluminum-alloy wheels. 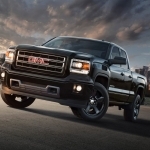 All Sierra Elevation Edition models are equipped with remote keyless entry, power mirrors, a 110-volt AC power outlet, and LED cargo box lighting. Advanced connectivity is included with every Elevation Edition, as a 4.2-inch Intellilink color audio system and Bluetooth phone connectivity are standard. Elevation Edition models also feature OnStar with 4G LTE Connectivity, which provides an in-car Wi-Fi hotspot for up to seven devices. 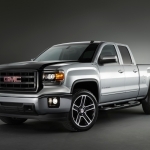 The 2015 Sierra Elevation Edition is offered with two- or four-wheel drive. A 4.3-liter EcoTec3 V-6 engine is standard equipment, and delivers 285 horsepower, 305 lb-ft of torque, and EPA highway ratings up to 24 mpg. A 355-horsepower, 5.3-liter EcoTec3 V-8 is optional. 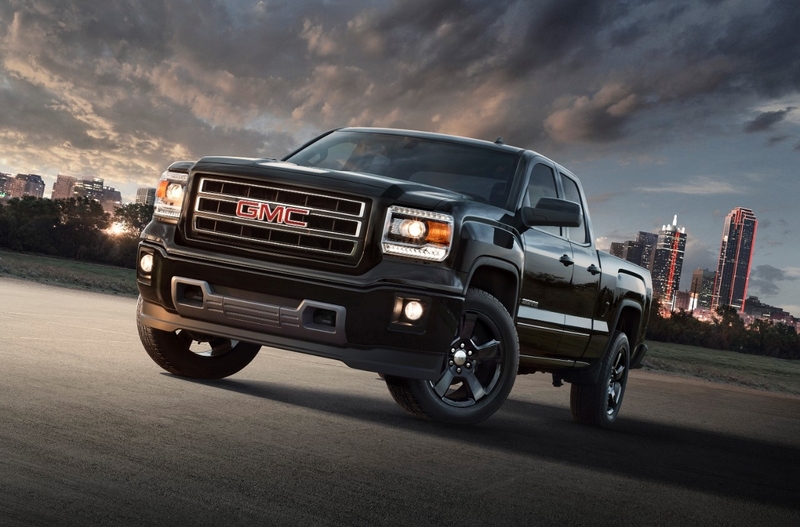 The 2015 Sierra Elevation Edition will be available at GMC dealerships by the end of 2014. Pricing for the Elevation Edition will be announced later.